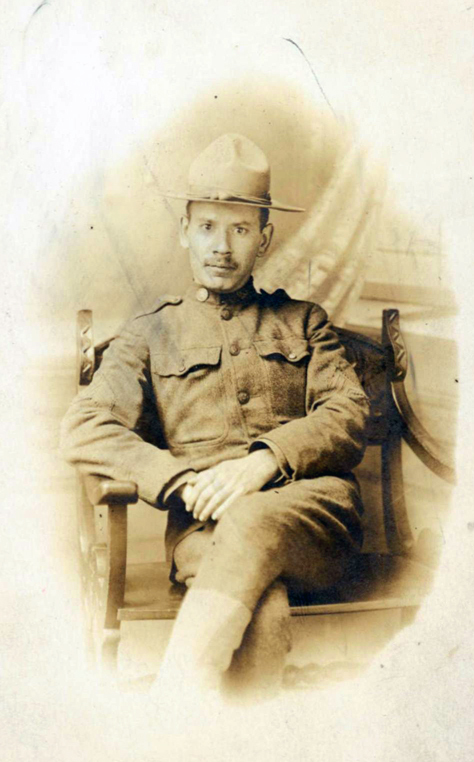 My friend's grandfather Zalmon Orloff served in the U.S. Army during World War I. He was in Saumur, France when the armistice was signed. Zalmon wrote letters to his girlfriend about every other day while he was in the Army. For some reason, after he returned to the States and was mustered out of the service, Zalmon had his girlfriend type up the letters he had written and send him the typed copies. This means that a hundred years later, my friend has copies of the letters Zalmon wrote, including the one he wrote on Armistice Day. I don't know how to begin my letter. The beginning though, does not matter anyhow. The main thing is that the population of France, Saumur included, is gone start mad with joy on account of the armistice signed this morning. French and American soldiers, men, women, boys and girls are embracing one another and the words "GUERRE EST FINIS" were on everybody's lips. The wine shops were doing a rushing business and the natural merriment was greatly increased by the artificial one. Groups of Americans and French gathered around every corner and sang the Marsellaise on the top of their voice. Every nook and corner was full of children, who, waving the tricolor or the Stars and Stripes, sang their favorite songs and exploded fireworks in your very face. The French and American buglers were blowing every tune imaginable and I doubt whether Saumur ever witnessed a similar scene. Have read in the papers the conditions of the armistice and about the revolutionary movement spreading in Germany. Why, Sarah, it seems as if it were a dream and I have to pinch myself to realize that I am wide awake and the wonderful news is a real, genuine unadulterated fact. I never expected that the end of the misery will come so soon.